Each module is a mono unit and the added benefit of combining the two switch approach with the ability to adjust each channel indepenantly in 1.25dB steps is you now have a functional balance control. Traditionally I have shunned the idea of a balance control and it wasn't until I experienced the Bent Audio autoformer Tap Modules. 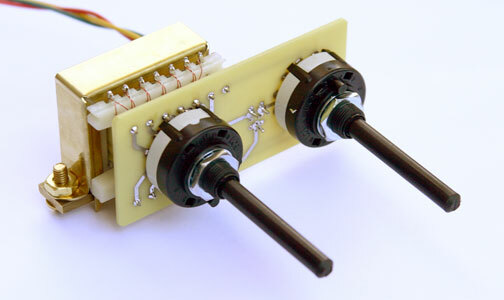 These modules use a similar method of non-linear switching to obtain a seamless +7 to -53dB of attenuation in 1dB steps. They also have a full remote level and balance control. If your budget allows I highly recommend considering them as a really slick option. 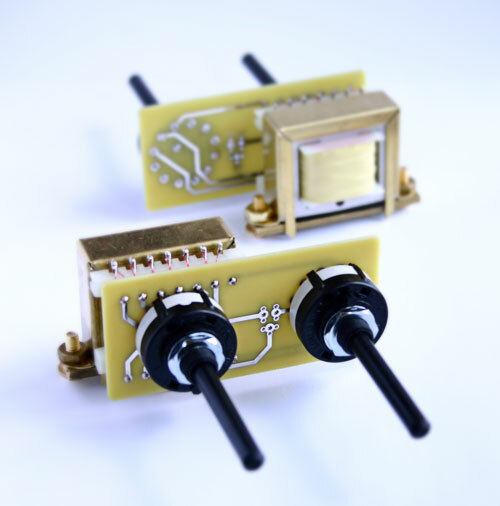 The real motivation of this product was to provide the end user affordable access to the autoformer sound without requiring them to make 100 or so solder connections. The modules wire up like any conventional pot or stepped attenuator and only three connections are required. 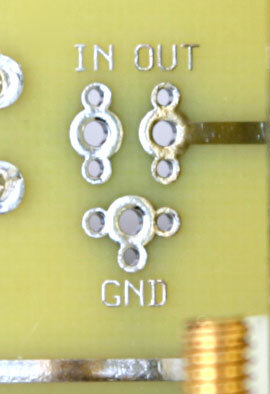 The connections are labeled on the PCB and are self explanatory. The modules are 2" X 2" X 3.5" and are mounted by the switches. They come stacked 4X4 for approximately 140hy's of inductance, The switches are made in the UK and have silver plated contacts. The core is 80% nickel and like of my other autoformers the hardware is all non-magnetic. I want to give a special thanks to John Chapman for his help in designing the circuit boards and feel free to ask any questions about these modules either on my forum or on John's Audiocircle forum.